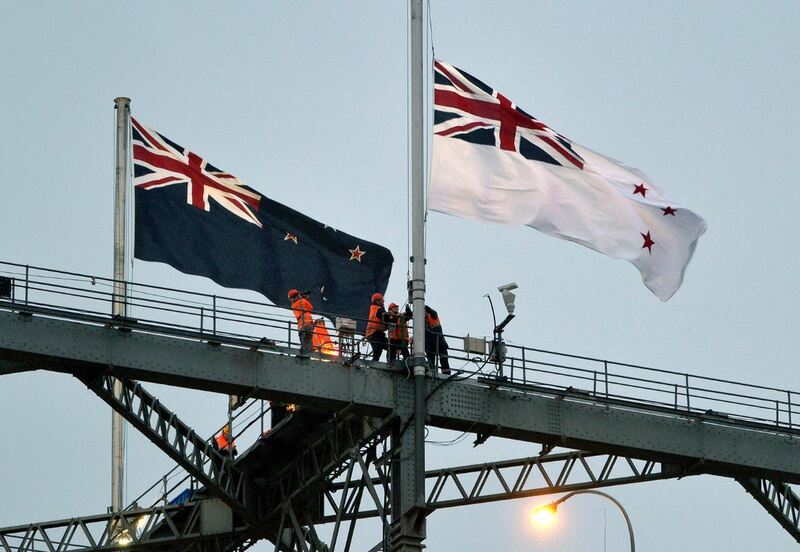 Today is the official birthday of the Royal New Zealand Navy and as you can see from the image below the New Zealand White Ensign was hoisted high alongside the New Zealand Flag today for the first time on the Auckland Harbour Bridge. 7 Responses to Here is a First! Happy Birthday! That IPV is obviously not one of the two that are “inactive”. that’s a photo for the wall; Happy Official Birthday to us all. Very nice & apprpriate I must say. Hari Huri Tau ki a Taua Moana o Aotearoa! ara ki Ngati Heramana whanui. 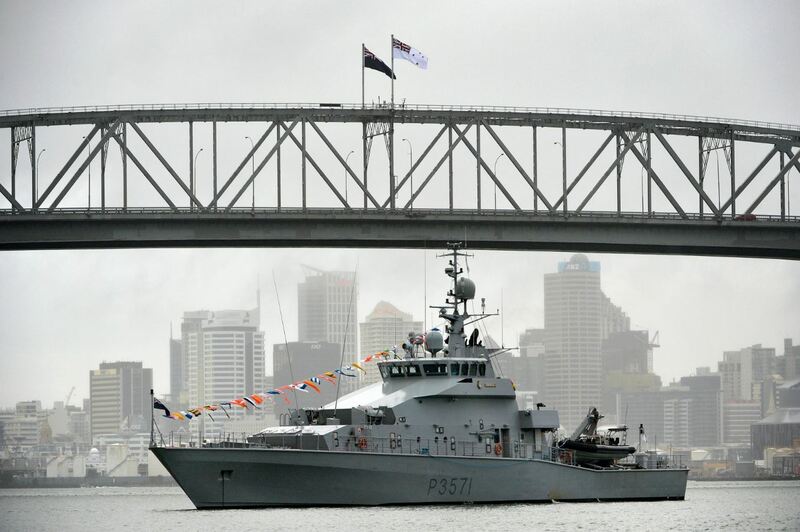 Ex communicator, Lt Cdr Jan Kingham, was given the task of raising the Ensign on the Harbour Bridge, due to her being the current longest serving female in the RNZN. How cool is that and very well deserved. do u know her by any chance?? ?